Beatrix is beautiful, black and adorable. Beatrix was the standout amongst a colony of shy community cats. There she found food, friends and a safe place to spend her days. Once the caregiver met Beatrix, she knew Beatrix would be the perfect pet for a deserving family. 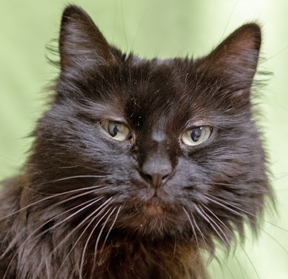 Give Beatrix a Home 4 the Holidays.